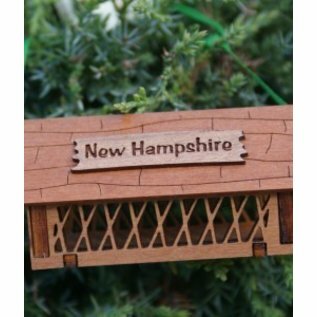 New Hampshire themed wood ornament made in New Hampshire. 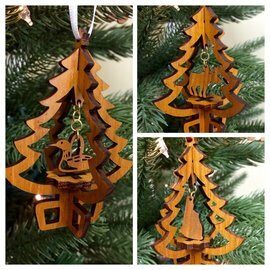 "Since 2003, owners Richard and Myra Stone have dedicated themselves to quality, customer service and attention to detail. 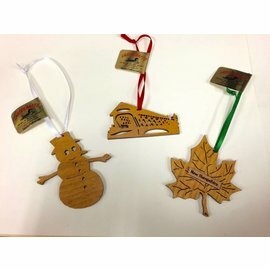 They enjoy making quality products that people are proud to display in their homes and pass along to family members. 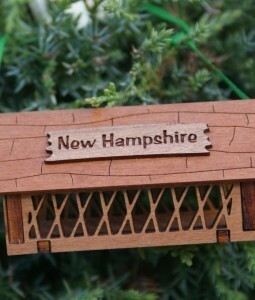 Enjoy sharing a piece of New Hampshire this holiday season!"